A short game for one. Long ago, you had a twin, and you used to do magic together. You stopped because life got in the way; your twin did not. The two of you lost touch. Now you have chosen to follow a dream about your youth, coming to a meeting place to find them. Your twin is not here. 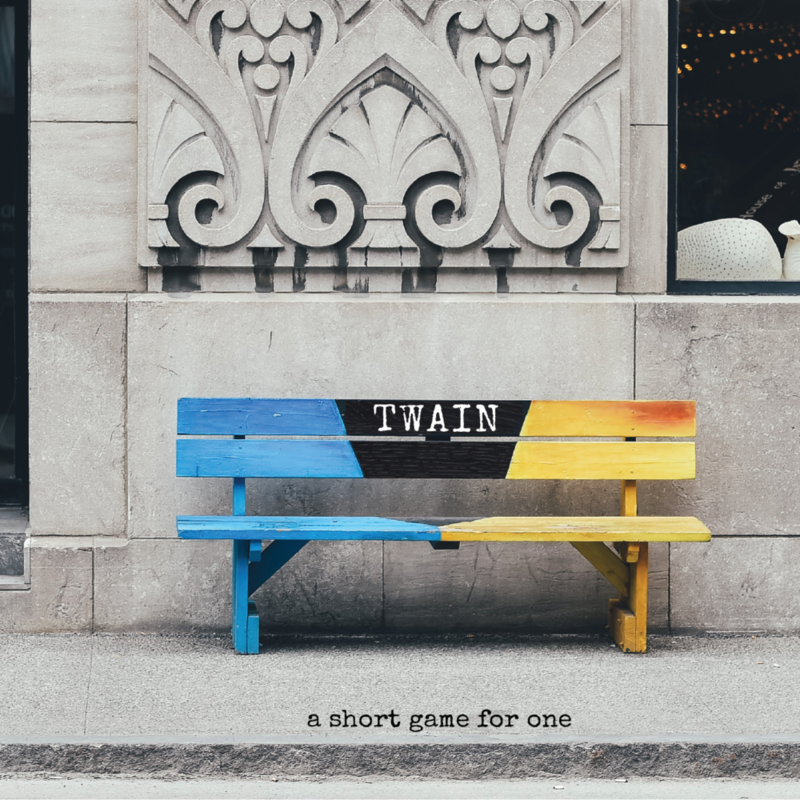 Twain is a mythical layer on top of your real life. You play yourself, with a few changes. Answer prompts by writing directly on the beautiful game materials. Then, play out a live scene in a public space to explore your relationship with a fictional twin who grew up to do all the magic that you never got around to. Because of the physical experience of play, this game is only available in hard copy and presently sold out. A new print run will be Kickstarted in April 2019. Please enter your info below to be notified. Thank you! We’ll be in touch as soon as the game is available.